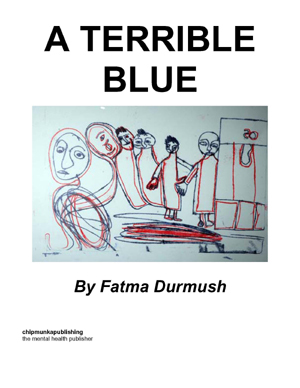 The book a terrible blue began as a novel and ended up as poetry. 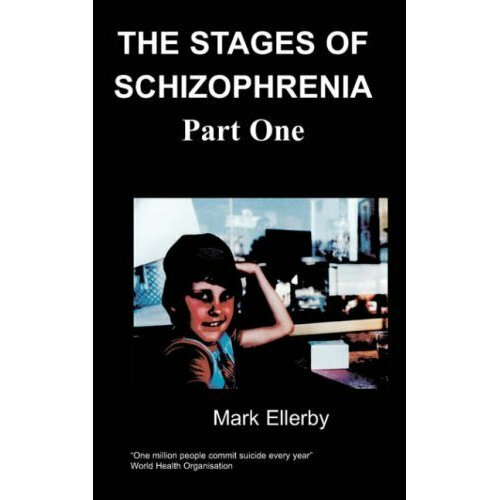 The long poem is about how I became a schizophrenic. It is the beginning mostly of our lives how mum lost her leg and how my family suffered. I wanted to put into words what I could not say about that period in my life every time I wanted to write about that time teachers would pooh pooh the idea. It wasn’t because I didn’t suffer but they couldn’t believe that someone like me suffered so much. I was comparing myself they thought with Sylvia Plath and putting on airs when mostly I just wanted to write what I could about that period. So the period was put in a draw and left to rot. Then last year I began to read the novel it was very bad but I liked bits of it, it had promise. So I began on my lap top to write the poetry that was in the book about that terrible period. I was doing a teaching course and I should have concentrated on that but I ploughed at them both and I have to retake the CELTA. Then near February I had to stop and do the course and I thought Terrible Blue would never get done. I worried at it but I could not write I had to do the CELTA. Then in April I restarted it. It turned out to be shorter than I thought but it has my early life in a nutshell. I am now lucky I finished it but it was touch and go it is a difficult subject it is a subject I wasn’t before qualified enough to write but now I am and I am glad I have written it. It is everything on a plate like winning a book which is always a great delight. Fatma Durmush started life as a dish washer in her father’s café. She began to wash dishes when the Greek helper was tired and Fatma said she’d help. Her father thought she was cheaper than the Greek lady and the Greek woman was fired. Fatma was ten years old. She stood on a wooden stool and that began years of washing. Durmush was always saying I want to go to University but she had no time to study. Her father was very ill with aggressive diabetes and had threatened to cut her mother’s head. So her mother was always frightened and so was Durmush. So began years of toil. Durmush wanted to write and do art but she was not only hampered by the café but she was also dyslexic. When she went to night school people laughed at her English and said her handwriting was the weirdest they had seen. Then her father slowly got better and the family began to think of other things other than mayhem and terror Durmush began to read and write but her father was well for about six months in a year the rest of the time he was either in a hospital or terrorizing the family. He could not help it he was plagued by demons and he saw things like queues of men at the door with her mother. Durmush’s career began to move when she was published in She but she could not repeat her success and so began years as a mental patient. It is the humour of being both a carer and a patient that is uplifting in this book. Durmush hopes that people will get something from it. It is an honest portrayal of the family as Durmush saw them as they were and as they appeared to her. For every writer sees differently the same things. Strange things that happened to older people. Tulay known as Tully was 14. Mum I'm going to school. God don't go, don't go. My ulcers are terrible, help me. You must help around the house. Tully banged the door shut and left for school. Tully begins to hum the tune. Bob Geldof was out singing I don't like Mondays. Teacher leave those kids alone.